The floor and its floor covering is one of the most important elements of any room. It determines its sound and its feel, its texture and pattern can set the key for the room’s style and, on a practical level, it is the surface on which you walk arid on which furniture is placed. There are many factors which need to be taken into account when choosing a floor covering, both practical points and aesthetic considerations. Carpeting is the most familiar type of soft floor covering, available in several different types and qualities (and prices). Special types of carpet are available for use in kitchens and bathrooms, where they need to be water resistant, and in other rooms you will want to choose a carpet with a wear characteristic suitable to the room’s use. However, foam-backed carpet should never be used with underfloor heating. Carpet tiles are an inexpensive and easy way of covering floors and have the advantage that the individual tiles can be taken up for cleaning or can be replaced when they wear. Vinyl, available in both sheet and tile form, comes in a huge range of colours and patterns and in both plain and cushioned versions. Warm and quiet underfoot and resistant to water, oil, fat and most chemicals found in the home, vinyls are relatively inexpensive and are ideal for use in kitchens, bathrooms and children’s rooms; the sophisticated range of patterns now available also makes them a good choice for halls and dining rooms. They will not, however, stand up to burns nor to abrasion from grit. Vinyl is usually stuck down to the surface with adhesive; tiles are easier to lay (and less likely to shrink) than sheets. Wear can be improved by using a special vinyl floor polish. Lino (linoleum) is increasing in popularity after years of decline. Available in sheet and tile form, it is made from natural materials. It has many of the advantages of vinyl, but is more durable, more expensive and more difficult to lay. Lino tiles can be laid like vinyl tiles, but laying sheet lino is a job best left to professionals. Cork floor tiles provide a really warm floor surface. This flooring is relatively inexpensive, warm, quiet, resilient and surprisingly hardwearing, provided it is well sealed and laid on a flat surface. It is held down with adhesive (many tiles are self-adhesive) and is easy to cut. Cork should not be used with underfloor heating. 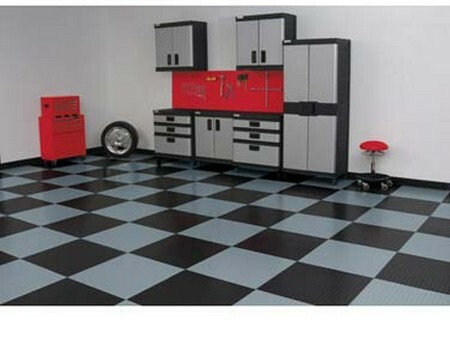 Rubber flooring, familiar in offices and shops but now increasingly used in the home, is also available in tile form. Warm and quiet underfoot, this flooring is not cheap, but is extremely durable, water resistant and easy to clean. 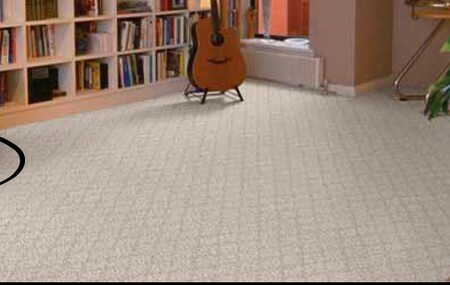 Coir, sisal and seagrass mattings provide an inexpensive floor covering, and are hardwearing and easy to lay. For laying from wall to wall, sew pieces together and bind the edges with jute tape. A single floor covering can often be bland (as with plain carpet) or too harsh on the ear and the eye (quarry tiles and timber flooring) and many people will want to consider using rugs and mats. There is an enormous variety available to suit every taste and every pocket. Apart from adding colour and pattern, rugs can also be used to define particular areas – a rug surrounded by chairs and a sofa could delineate a seating area, for example. How to Create an Area Map?